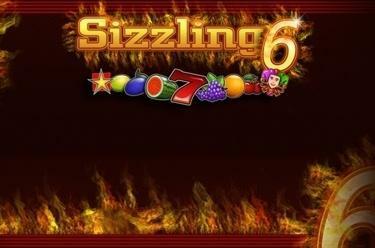 Play Sizzling6™ online for free now! 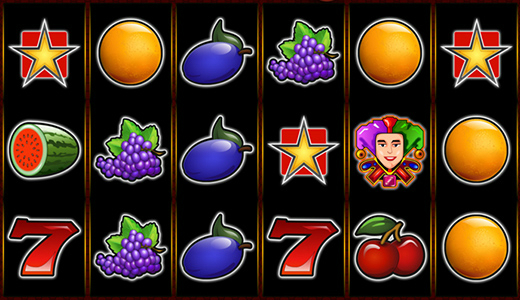 In Sizzling6™ many colourful fruit symbols, the Joker and Stars are frolicking across the 6 reels - and that can only mean one thing for you: Many fiery Twists that will make your eyes sparkle! Experience an absolute classic among the fruit machines now and clean up across the 6 reels when all positions show the same fruit symbol! Your goal is to land 6 matching symbols along the 5 win lines. All lines run from left to right across the reels and they are the basis for your winnings. But you also win if you land several identical symbols from the left consecutively on a line without being interrupted. The Joker can be used to substitute all symbols except the Star symbol. The Star wins from any position irrelevant of win lines. Should the first 4, 5 or even 6 reels all show the same symbol then you’re in line for a whopping bonus win!